This is a snippet from our 3-Hour Code, Law, Safety course. Every licensed Michigan builder must complete a 3-Hour Code, Law, Safety course each renewal cycle. Silica is a common mineral found in many materials, including sand, concrete, brick, block, stone, and mortar. Inhaling silica can be extremely dangerous with effects ranging from Silicosis, lung cancer, respiratory diseases, and kidney disease. Exposure can occur during common construction tasks such as using masonry saws, grinders, drills, tools that create dust, or during demolition. Silicosis is one of the oldest known occupational diseases, identified as far back as ancient Greece. This disease is a disabling, nonreversible and sometimes fatal. Chronic or “classical” silicosis is the most common type. It typically appears 20-40 years after exposure and progresses even if exposure ceases. Accelerated silicosis, on the other hand, may occur 5-15 years after exposure that is more intense. It progresses more rapidly than classic chronic silicosis. 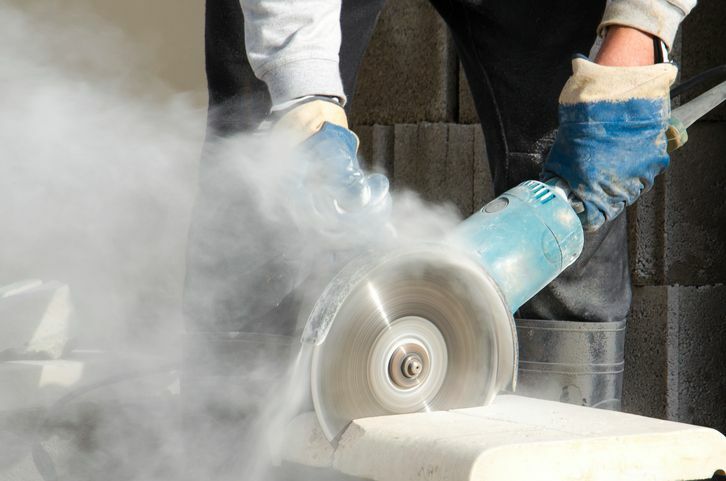 Acute silicosis results from an overwhelming exposure to crystalline silica and may occur within weeks of the exposure. OSHA understands that to some degree the air is not always, and in fact is hardly ever, completely free of dust and contaminants. At certain levels, the dust and contaminants have polluted the air to the point that preventative measures must be taken to ensure employee safety. The employee permissible exposure limit (PEL) for respirable crystalline silica is 50 micrograms per cubic meter of air in an 8-hour time-weighted average (TWA). Michigan Builders, Is Your License Due for Renewal this Year? This entry was posted in Construction and tagged Michigan Builders, Silica.